Meet USS Nimitz Sailors and Puget Sound Naval Shipyard workers as they go through a major evolution in a ship’s life. This is a story of steel, but more important of the men and women making it all happen. This documentary is produced, written and edited entirely by Nimitz Sailors. Follow a group of Sailors from the aircraft USS NIMITZ (CVN 68) as they wear many hats working on and off the ship during dry dock and living their lives as parents, students, volunteers and Sailors. My heart goes out to this man and his family. In his letter he pleads with our President to work with him to find answers surrounding his young sons death. I’m wholly afraid that it has fallen on deaf ears…Lord, help us all. I am writing to you being dictated by the call of my soul and the unalleviated pain of a father whose son was ruthlessly killed. I am not asking you to share my pain but I am asking you, as the head of the great country – the guarantor of democracy in the modern world, to help the law and justice prevail. I will try to be short and concise. My son was born in 1985 in a family with other 11 children. All my life I worked hard, trying to provide for my family and bring up dignified and law-abiding children. Here’s a video update from a friend of mine he’s also an Retired Veteran, Iraqi War. He’s a big voice in the battle for many of our veterans and their health, including his own. His life had been turned upside down and it gets worse by the day. The longer they have to wait, the more we lose. (56 a day to Gulf War Illness.) Those are very high numbers. So, as I promised I’m “banging the drums” here. Making a little noise; pass it on! Thank everyone, have a great weekend. Samuel Colt rescues the future of his faltering gun company by winning a contract to provide the U.S. government with 1,000 of his .44 caliber revolvers. Every small-town tough guy thinks he’d never take treatment like this. Then when they get down to Parris Island, that small-town tough guy quickly realizes: You will take treatment like this and like it. 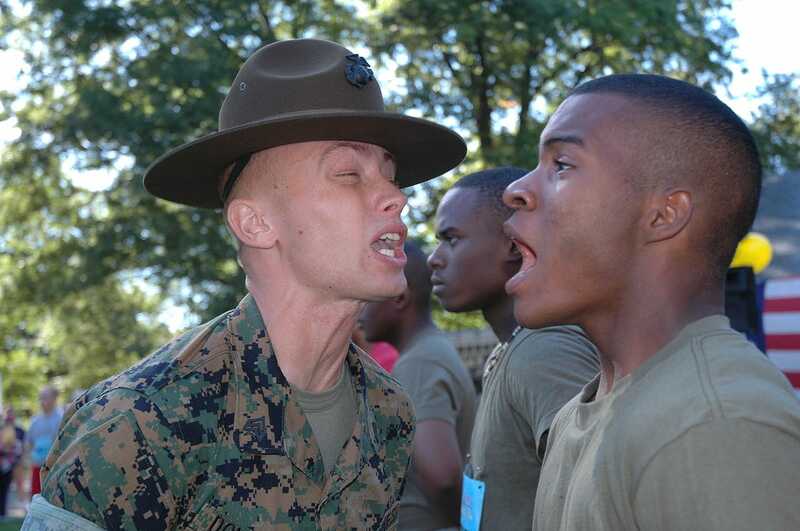 Welcome to a behind-the-scenes look at Marine Corps recruit training. 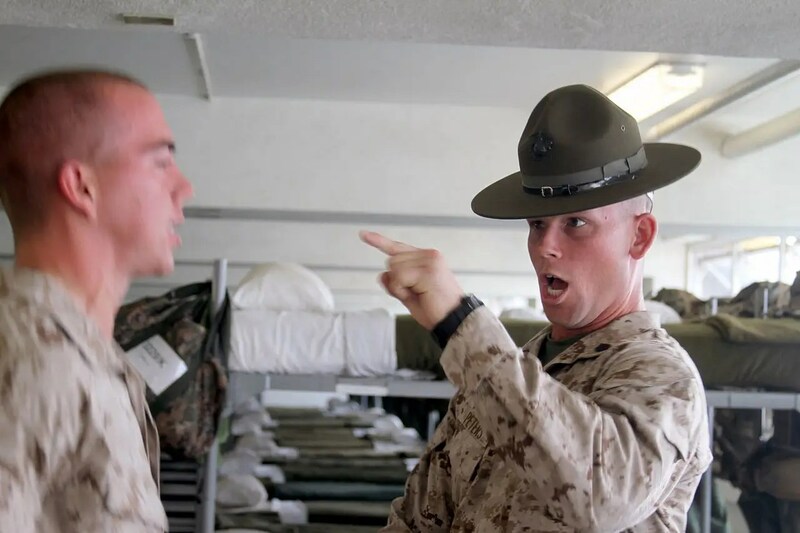 Drill Instructors are the thing of legend — I remember, when they finally let us sleep for the first time, about 50 truly harrowing hours from the time we arrived, and those lights shut out, each of us in our racks, I heard a decent handful of grown men crying for their mothers. These guys spend 13 weeks crushing every undisciplined aspect of a recruit’s body into dust. Their faces are priceless, and at times it takes everything you’ve got not to laugh. 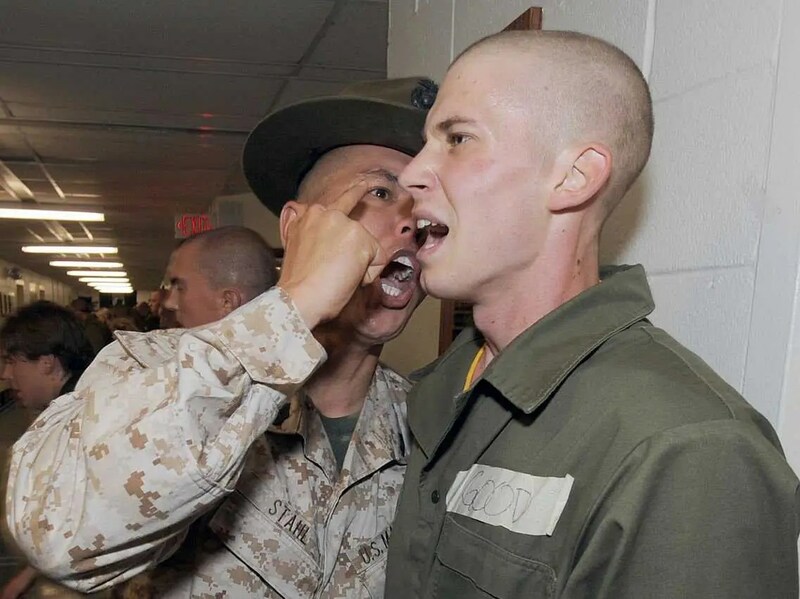 In boot camp, the first thing a recruit learns is that the word “I” is forbidden. Forced instead to refer to themselves in the third person. 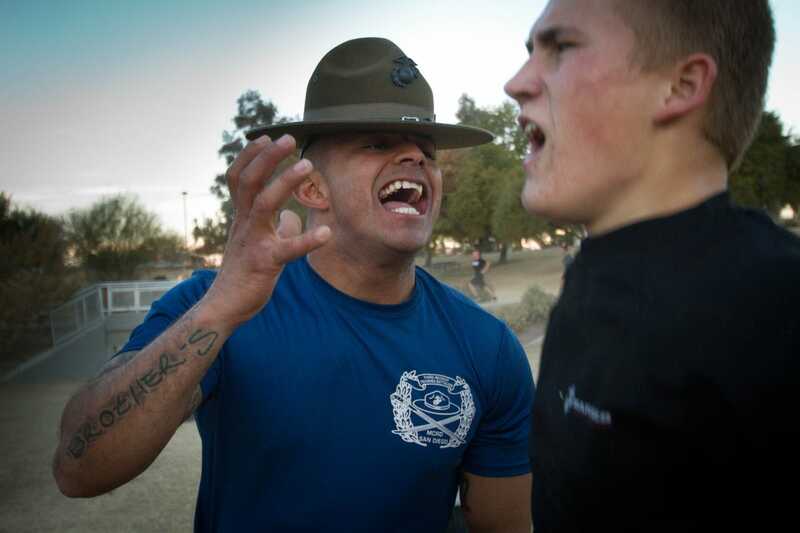 This poolee will learn if he gets to recruit training: NEVER look directly at the Drill Instructor. To see the rest of these pictures, follow the link below. 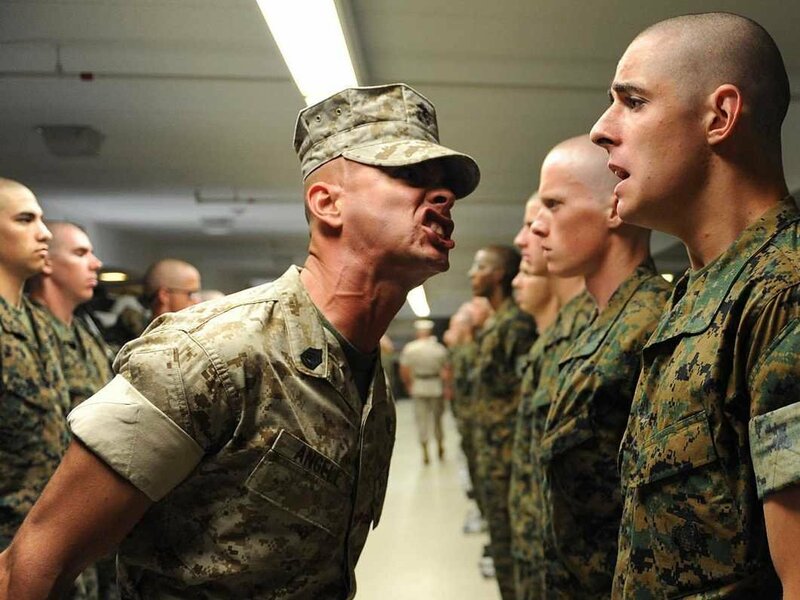 via 29 Pictures Of Marine Drill Instructors Screaming In People’s Faces – Business Insider.